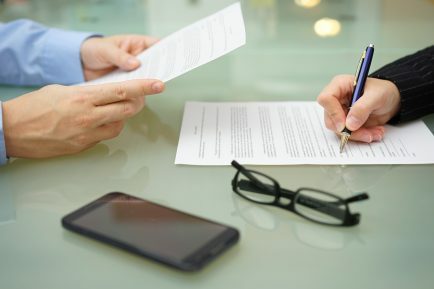 Uncertainty about the legality of electronic signatures on mortgage deeds and property leases has been a cause of concern to property professionals for many years. A consultation by the Law Commission is expected to bring greater clarity, but some doubts seem likely to remain. Mortgages and leases need to be made by a deed, which includes the signing and witnessing of the deed. Most are still executed using “wet ink” signatures, but there is an increasing demand for e-signatures to be used in their place. The current situation is very unclear. The Electronic Communications Act 2000 allows e-signatures to be admissible as evidence in legal proceedings but does not expressly allow for the electronic execution of deeds. The UK courts also generally accept e-signatures as valid. The Land Registry, however, says it will only accept documents using an electronic signature if they meet the terms of Land Registration Act 2002 and the Land Registration (Electronic Conveyancing) Rules 2008. The Law Commission’s public consultation ‘Electronic Execution of Documents’ concluded on 23 November 2018. Its view is that electronic signatures are valid and will generally meet the statutory requirements where there is an intention to authenticate a document. It is currently analysing the responses to the consultation and is developing its final policy. The Law Commission’s consultation document and press release has been published on its website. Reports on the latest developments have been published by Wright Hassall, Mortgage Finance Gazette and the Law Society Gazette.